The possible separation of Bradford West Gwillimbury from the County of Simcoe was a heated topic on the county’s council agenda today, with other mayors voicing their concerns. "We think we've grown to a point where we can be more responsible for the delivery of service," explained Bradford Mayor Rob Keffer at the meeting. The Town of Bradford West Gwillimbury is considering a breakup with Simcoe County to ensure its taxpayers are getting the best service for what they're paying in taxes. The move has raised some flags for other mayors in the county, with the province currently reviewing regional governments. “I concerned about the timing of that discussion,” said Collingwood mayor Brian Saunderson at the meeting. Saunderson called for an analysis of the possible logistical and the finical impacts of the separation to the county. “We [Simcoe County] provide services, we own assets there with roads. We’ve invested in capital assets over the last fifteen years, so we’re really trying to find out what those costs would look like. The motion received unanimous support. 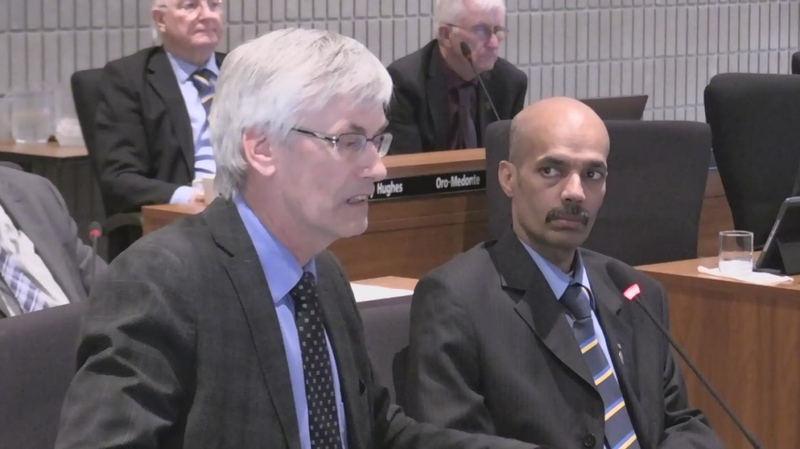 "We have an obligation as a county council to make sure we fully understand what it is we're talking about in terms of the cost, the services that are provided by the county and ultimately what would be the cost of removing yourself," said Simcoe County George Cornell to Bradford’s mayor at the meeting. "Let's get the proper financial information and make sure that it's fair for both the county and the lower tier municipalities," added Innisfil mayor Lynn Dollin. Meanwhile, Bradford’s council still has to decide if it will pursue separate city status, with the ultimate decision being up to the province. But mayor Keffer welcome’s Simcoe County’s review. “I think it will give our residents a good understanding of what the upper tier does deliver,” he said on Tuesday. 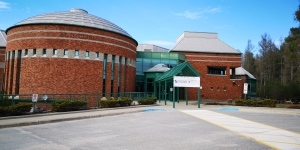 Simcoe County staff is expected to report back with the financial implications of the separation in late April or early May. In the meantime, residents in Bradford can weigh in on the possible breakup at a town hall meeting on Monday.